When you suffer a workplace injury or illness, your medical bills should be covered by your employer’s workers’ compensation insurer. In addition to medical coverage, workers’ compensation pays for up to two-thirds of your average weekly wage. There are four classifications of workers’ compensation disability benefits, according to the New York Workers’ Compensation Board, which are temporary partial disability, temporary total disability, permanent partial disability, and permanent total disability. If you were injured, it is in your best interest to discuss your claim with an experienced New York workers’ compensation attorney at once. Temporary disability means that the injured worker will recover and be able to return to full working capacity, and the current benefits that they are receiving have a set number of weeks to be paid out. However, if you are either unable to return to work or are still only able to work part-time, or you are still partially disabled after this period of time, you will need to re-work your claim with your attorney. A worker who has been rendered permanently disabled is not expected to ever fully recover, or is not expected to recover within the next 12 months. There is no limit to the number of weeks that a permanently disabled worker can collect workers’ compensation weekly cash benefits. A worker who is only partial disabled can still perform some work (their wage-earning capacity is not fully lost), and can receive benefits while they are partially disabled. A worker who is totally disabled cannot perform any work at all. Their wage-earning capacity is totally lost. 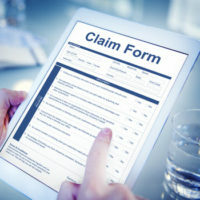 Generally, if they are found to be working while collecting total disability benefits, whether those benefits are temporary or permanent, they will likely lose their benefits due to workers’ compensation fraud. However, in some cases the worker will be allowed to earn outside finances as long as their total weekly average income does not exceed the current state limit, which is outlined below in the next paragraph. The weekly cash benefits you receive are calculated by multiplying your average weekly wage by two-thirds, and then multiplying that number by the “percent” that you are deemed disabled. The more disabled you are, the higher your weekly cash benefits will be. For example, if you are 70 percent disabled and you make $600 a week on average, your cash benefits would be (2/3 x 600) x 0.70 = $272.20. If you are deemed 100 percent disabled, however, your benefits would be (2/3 x 600) x 1.0 = $399.60. However, even if you were making much more than $600 per week on average, the current maximum weekly benefits an injured New York Worker can receive is $864.32 per week for either partial or total disability. If you suffered any type of injury or illness at work, do not hesitate to contact the Law Office of Michael Lawrence Varon today. Our White Plains workers’ compensation attorneys are eager to help you immediately.